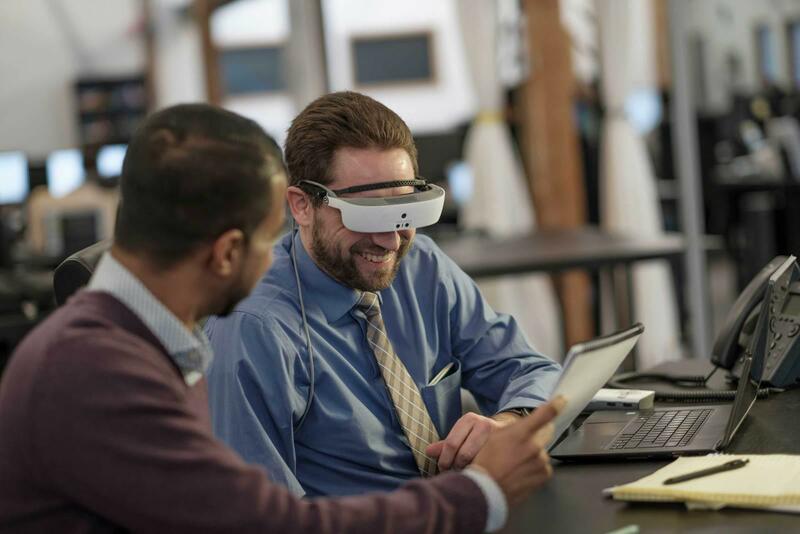 Note: In January 2019, eSight announced a permanent 40% price reduction for its eSight electronic glasses, from $10,000 USD to $5,950 USD. eSight is a head-mounted video display that uses magnification to help people with low vision see. It requires a visual function to work, provides optimal benefit to those with visual acuities around 20/200, and with a field view greater than 15 degrees. The device can even be useful for people with acuities as low as 20/1000. The 1st generation of this product came to market in 2013 at a price of $15,000. Generation 3 arrived in 2017 at just under $10,000. Currently sold in about 42 countries, there are about over 1,000 eSight devices in use today. 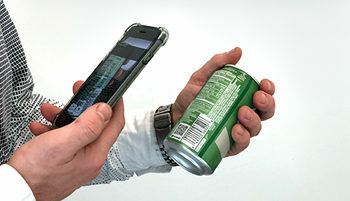 The company offers assistance to help customers find funding for the device. eSight has received a lot of media attention, but it has not really caught on. Price most certainly is a factor. 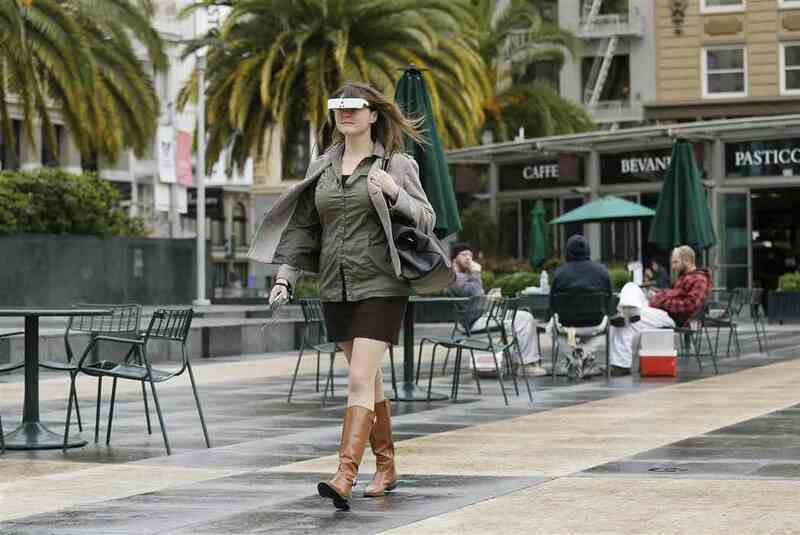 A woman walking while using eSight glasses in a city. 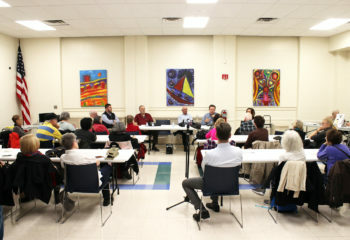 Recently, a friend scheduled an eSight demo in New York and invited me to join. We both have advanced central vision loss. He was not able to benefit at all from eSight, but I was. And I began to see the light. The eSight 3 is a cumbersome visor-like device. It is heavier than I expect and there is a wire that is attached to a battery pack. The eSight specialist adjusts the device and I am able to look across the room and see her colleague smiling at me. I can tell she is wearing bright red lipstick and a red and white print scarf. This is indeed a moment. I look around the room and walk over to look out the window. They show me how I might read with this device, zooming into the print. For me, nothing else feels quite as profound as being able to see a person’s face from the other side of a room. Although I would have difficulty wearing the eSight device in public for daily activities like commuting, restaurant dining, or grocery store shopping, perhaps others would be unfazed. The potential benefits are highly individual. There are many ways this device can keep you working, enjoying hobbies, watching TV. And of course, seeing people. Remember, it comes down to adjusting, and it takes some time to get comfortable. If eSight can give you back or help you maintain function, and you use it every day, it can be a worthwhile investment. In this video, Luke Scriven, Assistive Technology Specialist at The Chicago Lighthouse, explores eSight 3’s features. Yvonne Felix is a working professional, public and community artist, and a mother of two, living with Stargardt disease. In this video, she demonstrates her experience with eSight 3. eSight CEO Brian Mech joins her to explain how it works. Disclaimer: Yvonne is a beta-tester number one for eSight, starting in 2012. We’d also like to note that, more accurately, the device can potentially assist with helping people who are “legally blind” see better with the sight they have remaining. Originally published on December 1, 2017 and updated on October 10, 2018.